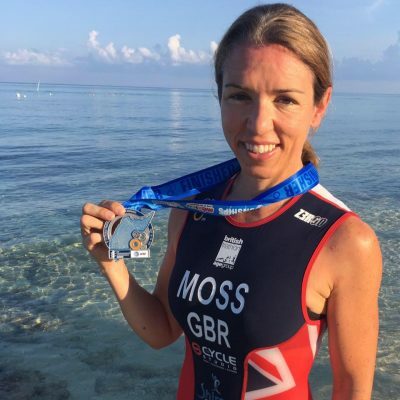 Triathlete, Corinne Moss, first began participating in the sport in the run up to her 40th birthday. She hoped to demonstrate that everyone is capable of taking up a new sport, regardless of their age or ability. Two years on from her triathlon debut, Corinne won silver at the ETU European Age-group Triathlon Championships in 2016. She was also shortlisted for the 220 Triathlon Female Age-grouper of the Year Award 2016. Suffering with arthritis and a back injury, Corinne has been able to use her triathlon training as a way of reducing pain and preventing back surgery. She is now setting her sights on achieving a top 10 finish at the World Championships. Corinne trains frequently at Everyone Active’s Southam and Stratford leisure centres.